Working in my art studio! 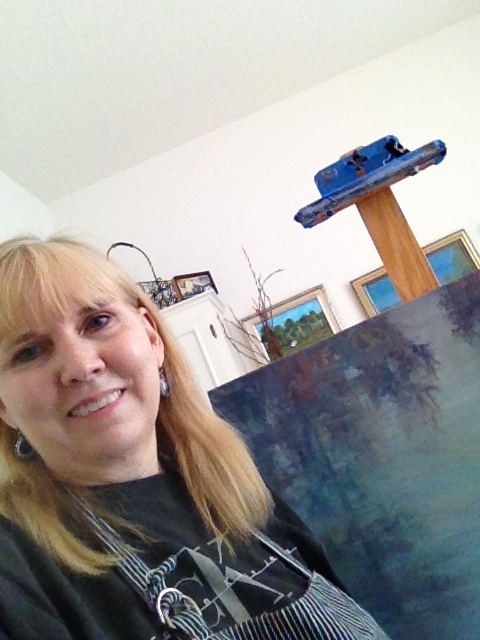 From my art studio in Palm Beach Gardens, Florida, I joyfully paint from my heart what I know and love. This Coastal Art Paintings blog journal provides an inside look at the inspiration for each of my paintings. I grew up in South Texas where I enjoyed going on many fishing and camping trips to South Padre Island and visiting National Wildlife Refuges. Palm Beach Gardens in South Florida is now my home. The natural beauty of seashores and coastal areas are the subject of many of my paintings. As an avid gardener and visitor of nature parks and botanical gardens, I also take delight in painting flowers in all their glory. Intrigued by historical churches, buildings and homes, some of my paintings will also have glimpses of stately mansions, old iron gates, cobblestone streets, and old churches found in places like Charleston, South Carolina where I was fortunate to live on James Island. The Florida Everglades and Low Country marshlands found in Georgia and the Coastal Carolinas are often the subject of my serene impressionist landscape and seascape paintings. Beaches, harbors, marine life, lighthouses and beach cottages from Key West to Nantucket to the shores of Padre Island will often take center stage on my canvas. My first passion is helping others achieve their academic and career goals. Since 1996, I have been working in higher education, nonprofit and government settings in order to help others find and follow their chosen profession. I have worked with disadvantaged at risk youth in underserved communities throughout Palm Beach County. I have a M.Ed. from the University of South Carolina and work at Palm Beach State College as a Career Advisor. In my mid 40s I discovered I had a passion and talent for painting. I have been on an artful journey ever since I picked up a paintbrush. In my spare time, I enjoy pursuing my art as a hobby now. I am mostly self-taught, but I have received professional artist training through workshops, drawing course and have completed over 175 hours of course training from a master artist, Johannes H. Vloothuis. I have also studied instructional demonstrations from Frank Serrano, Donald Demers, Marcia Burtt, and Larry Seiler, Scott Gellatly and Larry Moore. I continue to learn and grow in the field as artists are constant learners and develop with each brush stroke. I truly feel like my life has been what God has called me to do. With a paint brush in my hand during this chapter of my life, I trust and strive to honor him in all things I do. I hope you enjoy the online blog journal of my paintings. I will be happy to share information on my techniques or products I use, just post a comment or contact me at my email below. You can send me an e-mail at amberfineart(use at sign)hotmail.com or call me at 561-371-8772 if you have any questions or would like to talk about creating custom artwork for your home or business.